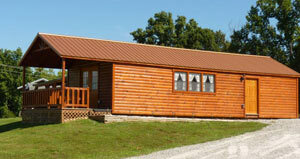 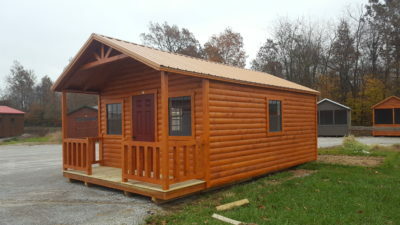 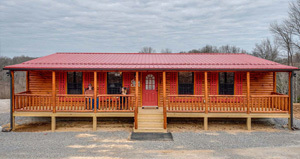 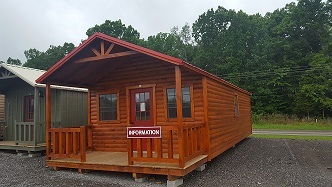 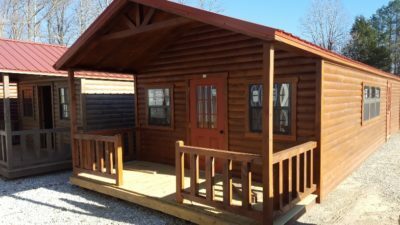 We build some of the largest system built modular cabins in Tennessee! 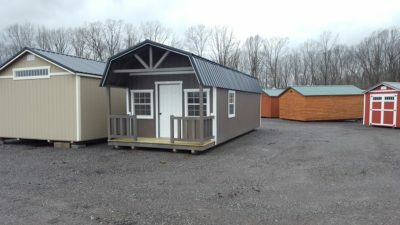 More than 600 square feet in a single unit and over 1200 square feet. 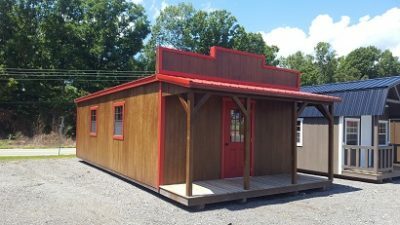 We also build tiny homes. 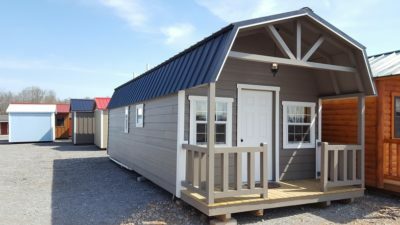 Factory Built Cabins & Tiny Homes are a dream for many people! 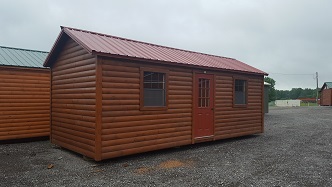 “Someday I want a small cabin back in the woods, down by the lake or have one in my back yard.” Hilltop Structures would like to help you fulfill that dream, We use a kiln dried white pine log siding that is shaped specifically for this application, our siding is dried, planed and milled by Amish craftsmen. 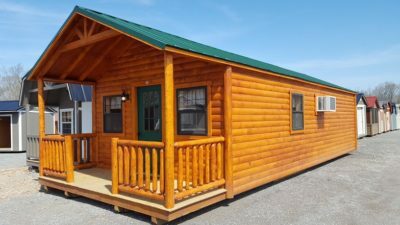 Your cabin can have only the exterior finished (for the handyman) or the exterior and interior can be completely done with insulated floor, walls, and ceiling, basic electrical wiring, and 1 x 8 tongue and groove pine paneling. 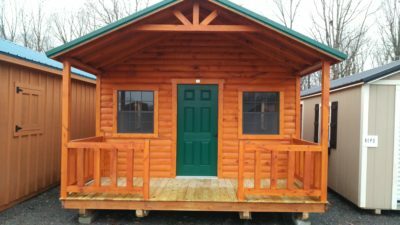 These small wood cabins make a cozy get-away, hunting cabin, or attractive guest house where your family will make memories for a lifetime! 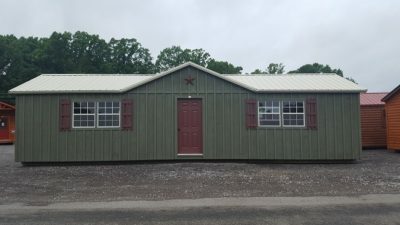 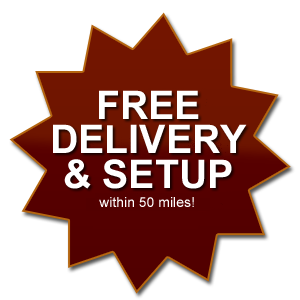 our goal is to use quality materials and construct our buildings with fine workmanship. 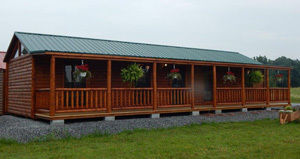 Your satisfaction is our objective.